Fargo YMCKH: Full-color ribbon with resin black and Heat Seal panel. 500 images per roll. 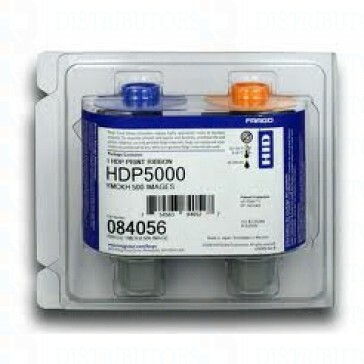 For use with Fargo HDP5000 card printers. Fargo 84056 YMCKH: Full-color ribbon with resin black and Heat Seal panel. The Fargo YMCKH heat seal panel allows you to print on difficult card surfaces like clamshell proximity cards. For use with Fargo HDP retransfer films 84054,84053. Compatible with Fargo HDP5000 retransfer card printers.